You are here: Home - About - Why Quix? Quix introduces a new infant formula bottle that transforms formula preparation from a tedious and stressful task to a simple twist and shake to mix the formula for feeding. 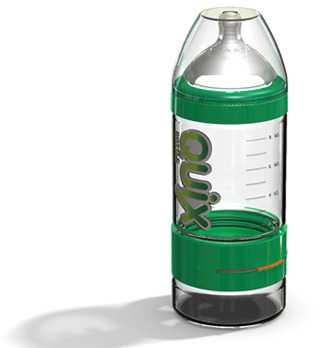 The Quix Bottle allows a parent to carry both formula and water safe in one bottle, keeping them separate until moment of need. With a quick twist and a shake the formula and the water mixes quickly anytime, anywhere.